This year I spoke at FOSDEM again. It became sort of a tradition to visit Brussels in winter and although I was tempted to break with the tradition, I came again. I had two talks at this year’s FOSDEM, both in the Security track. One on my work with Ludovico on protecting against rogue USB devices and another one on tracking users with core Internet protocols. We got a bigger room this year, but it was still packed. Despite the projector issues, which seem to be appearing more often recently, the talks went well. The audience was very engaged and we had a lively discussion in the hallway. In fact, the discussion was extremely fruitful because we were told about work in similar areas which we ought to check out. For our USB talk I thought I’d set the mindset first and explain how GNOME thinks it should interact with the user. That is, the less interaction is required, the better it is. Especially for a security system where the user may not know what to do. In fact, we try to just make it work™ without the user having to do anything. That is vastly different from other projects are doing. 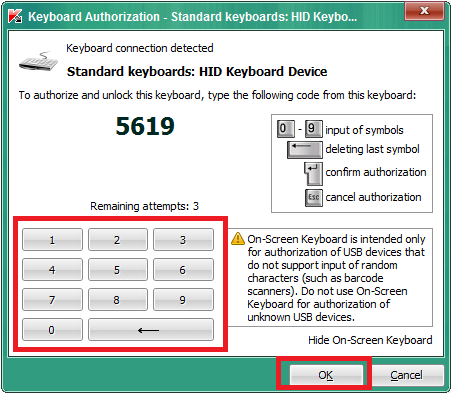 In particular, Kaspersky wants you to enter a PIN when attaching a new keyboard and the USBGuard dialogue is not necessarily suitable for our users. In the talk on Internet protocols I mainly showed that optimisations regarding the latency need to be balanced against the privacy needs of the users. Because in order to reduce latency you usually share a state with the other end which tends to be indicated through some form of token or cookie. And because you have this shared state, the server can discriminate you. What you can try to do is to not send the token or cookie in first place. Of course, then you lose the optimisation. In turns out, however, that TLS 1.3 can be as fast, i.e. 1 round trip, and that the latency is not better or worse if you resume a previous session. Note how I talk about latency only and ignore other aspects such as CPU cycles spent for the connection establishment. Another strategy is to not send the token unencryptedly. With TLS 1.2 the Session Ticket is sent without any form of encryption which enables a network-based attacker to see your token and correlate your requests. The same is true for other optimisations such as TCP Fast Open. I have also presented our approach to balancing privacy and latency, namely a patched WolfSSL and Linux. With these patched versions we send the TCP Fast Open cookie via TLS s.t. the attacker cannot see it when we request it. The conference was super busy and I was super busy with talking to people. It’s amazing how fast time flies when you are engaged in interesting discussions. I bumped from one person into another and then it was already time for dinner. The one talk I’ve seen was done by my colleague on preventing cryptographic misuse of libraries. More precisely, an attempt to provide sane APIs which make shooting yourself in the foot very hard. I was invited to give a talk at Hacks in Taiwan Conference, or HITCon. Since I missed the GNOME Asia Summit and COSCUP just before, I was quite happy to go to Taiwan still. Taiwan is among the 20 countries which are least reliant on tourism, you may also say that they have not yet developed tourism as a GDP dominating factor, shows. Many Web sites are in Chinese, only. The language barrier is clearly noticeable, albeit fun to overcome. Certain processes, like booking a train ticket, are designed for residents, only, leaving tourists only the option of going to a counter rather than using electronic bookings. So while it’s a safe and fun country to travel, it’s not as easy as it could or should be. The conference was fairly big. I reckon that there have been 500 attendees, at least. The tracks were a bit confusing as there were info panels showing the schedule, a leaflet with the programme, and a Web site indicating what was going on, but all of those were contradicting each other. So I couldn’t know whether a talk was in English, Chinese, or a wild mix of those. It shouldn’t have mattered much, because, amazingly enough, they had live translation into either language. But I wasn’t convinced by their system, because they had one poor person translating the whole talk. And after ten minutes or so I noticed how the guy lost his concentration. Anyway, a few interesting talks I have seen were given by Trend Micro’s Fyodor about fraud in the banking and telephony sector. He said that telcos and banks are quite similar and in fact, in order to perform a banking operation a phone is required often times. And in certain African countries, telcos like Vodafone are pretty much a bank. He showed examples of how these sectors are being attacked by groups with malicious intents. He mentioned, among others, the Lazarus group. My own talk was about making operating system more secure and making more secure operating systems. With my GNOME hat on, I mentioned how I think that the user needs to led in a cruel world with omnipresent temptation to misbehave. I have given similar presentations a few times and I developed a few questions and jokes to get the audience back at a few difficult moments during the presentation. But with that didn’t work so well due to the language barrier. Anyway, it was great fun and I still got some interesting discussions out of it afterwards. Big kudos to the organisers who have been running this event for many many years now. Their experience can certainly be seen in the quality of the venue, the catering, and the selection of speakers. I hope to be able to return in the next few years. Have you ever wondered was makes the Tor Browser the Tor Browser? That is, what patch you would have to apply to Firefox in order to end up with a Tor Browser. The answer is not really easy to get. I expected to do something like git clone tor-browser ; git diff firefox-upstream or so. But for an odd reason, the Tor Browser people do not import the pristine Firefox version to their repository. As a side note, the build instructions are a bit arcane. I was hoping for such an important tool to be built easily. But it requires root access and a wild container technology. Weird. In fact, this is preventing me from flatpaking the Tor Browser right now. But I’m working on it. Of course, you need to adjust the Firefox and the Tor Browser version in the future. I have imported the upstream firefox code into this repository so that you can make diffs as you like. Unfortunately, the Github Web interface does not show diffs of unrelated branches. I was invited to be a panellist at this year’s FIfFKon in Berlin, Germany. While I said hi to the people at All Systems Go!, my main objective in Berlin was to attend the annual conference of the FIfF, the association for people in computing caring about peace and social responsibility. The most interesting talk for me was held by Rainer Mühlhoff on the incapacitation if the user. The claim, very broadly speaking, is that providing a usable interface prevents your users from learning how to operate the machine properly. Or in other words: Making an interface for dumb people will attract dumb people and not make them smarter. Of course, he was more elaborate than that. He presented Android P which nudges the user into a certain behaviour. In Android, you get to see for how long you have used an app and encourages you to stop. Likewise, Google nudges you into providing your phone number for account recovery. The design of that dialogue makes it hard to hit the button to proceed without providing the number. Those nudges do not prevent a choice to be made, they just make it more likely that the user makes one particular choice. The techniques are borrowed from public policy making and commercial settings. So the users are being an instrument themselves rather than a sovereign entity. Half way through his talk he made a bit of a switch to “sealed interfaces” and presented the user interface of a vacuum cleaner. In the beginning, the nozzle had a “bristly” or “flat” setting, depending on whether you wanted to use it on a carpet or a flat surface. Nowadays, the pictogram does not show the nozzle any more, but rather the surface you want to operate on. Similarly, microwave ovens do not show the two levers for wattage and time any more, but rather full recipes like pizza, curry, or fish. The user is prevented from understanding the device in its mechanical details and use it as an instrument based on what it does. Instead the interaction is centred on the end purpose rather than using the device as a tool to achieve this end. The commercialisation of products numbs people down in their thinking. 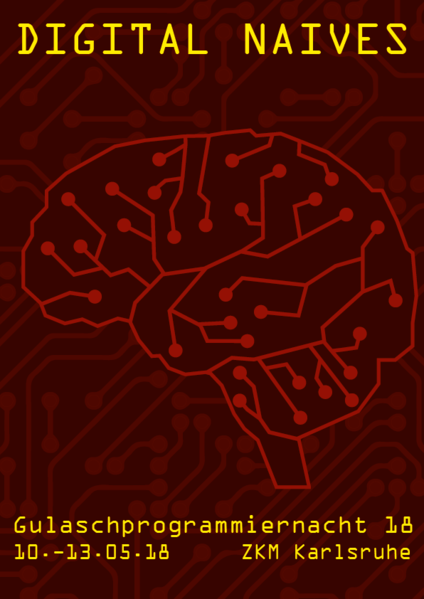 We are going from “Don’t make me think” to “Can you do the thinking for me” as, he said, we can see with the newer Android interfaces which tries to know already what you intend to do. Eventually, you adapt the technology to the human rather than adapting the human to the technology. And while this is correct, he says, and it has gotten us very far, it is wrong from a social theory point of view. Mainly because it suggests that it’s a one-way process whereas it really is an interdependency. Because the interaction with technology forms habits and coins how the user experiences the machine. Imagine, he said, to get a 2018 smartphone in 1995. Back in the day, you probably could not have made sense out of it. The industrial user experience design is a product of numbing users down. A highly interesting talk that got me thinking a little whether we ought to teach the user the inner workings of software systems. The panel I was invited for had the topic “More privacy for smart phones – will the GDPR get us a new break through?” and we were discussing with a corporate representative and other people working in data protection. I was there in my capacity as a Free Software representative and as someone who was working on privacy enhancing technologies. I used my opportunities to praise Free Software and claim that many problems we were discussion would not exist if we consequently used Free Software. The audience was quite engaged and asked a lot of questions. Including the ever popular point of *having* to use WhatsApp, Signal, or any of those proprietary products, because of the network effect and they demanded more regulation. I cautioned that call for various reasons and mentioned that the freedom to choose the software to run has not yet fully been exploited. Afterwards, some projects presented themselves. It was an interesting mix of academic and actual project work. The list is on the conference page. I was fortunate enough to be invited to Kyiv to keynote (video) the local Open Source Developer Network conference. Actually, I had two presentations. The opening keynote was on building a more secure operating system with fewer active security measures. I presented a few case studies why I believe that GNOME is well positioned to deliver a nice and secure user experience. The second talk was on PrivacyScore and how I believe that it makes the world a little bit better by making security and privacy properties of Web sites transparent. The audience was super engaged which made it very nice to be on stage. The questions, also in the hallway track, were surprisingly technical. In fact, most of the conference was around Kernel stuff. At least in the English speaking track. 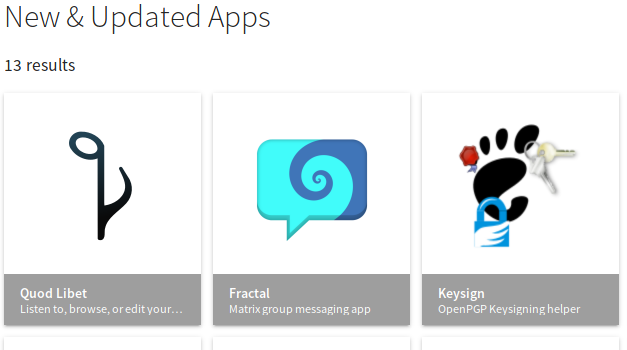 There is certainly a lot of potential for Free Software communities. I hope we can recruit these excellent people for writing Free Software. Lennart eventually talked about CAsync and how you can use that to ship your images. I’m especially interested in the cryptography involved to defend against certain attacks. We also talked about how to protect the integrity of the files on the offline disk, e.g. when your machine is off and some can access the (encrypted) drive. Currently, LUKS does not use authenticated encryption which makes it possible that an attacker can flip some bits in the disk image you read. Canonical’s Christian Brauner talked about mounting in user namespaces which, historically, seemed to have been a contentious topic. I found that interesting, because I think we currently have a problem: Filesystem drivers are not meant for dealing with maliciously crafted images. Let that sink for a moment. Your kernel cannot deal with arbitrary data on the pen drive you’ve found on the street and are now inserting into your system. So yeah, I think we should work on allowing for insertion of random images without having to risk a crash of the system. One approach might be libguestfs, but launching a full VM every time might be a bit too much. Also you might somehow want to promote drives as being trusted enough to get the benefit of higher bandwidth and lower latency. So yeah, so much work left to be done. ouf. Then, Tycho Andersen talked about forwarding syscalls to userspace. Pretty exciting and potentially related to the disk image problem mentioned above. His opening example was the loading of a kernel module from within a container. This is scary, of course, and you shouldn’t be able to do it. But you may very well want that if you have to deal with (proprietary) legacy code like Cisco, his employer, does. Eventually, they provide a special seccomp filter which forwards all the syscall details back to userspace. As I’ve already mentioned, the conference was highly technical and kernel focussed. That’s very good, because I could have enlightening discussions which hopefully get me forward in solving a few of my problems. Another one of those I was able to discuss with Jakob on the days around the conference which involves the capabilities of USB keyboards. Eventually, you wouldn’t want your machine to be hijacked by a malicious security device like the Yubikey. I have some idea there involving modifying the USB descriptor to remove the capabilities of sending funny keys. Stay tuned. Anyway, we’ve visited the city and the country before and after the event and it’s certainly worth a visit. I was especially surprised by the coffee that was readily available in high quality and large quantities. 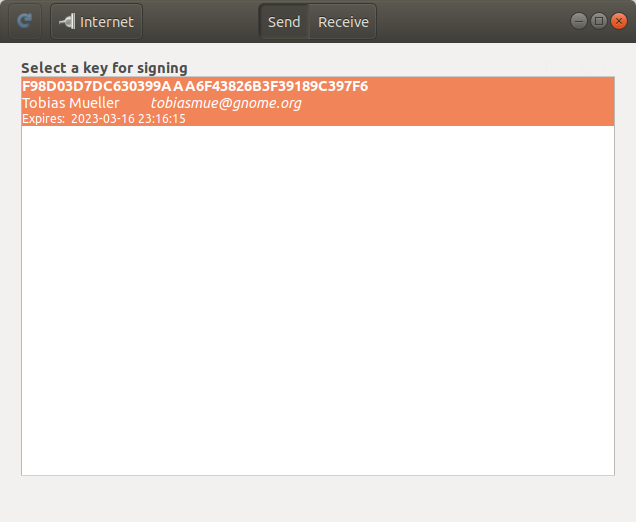 tl;dr: We have a new Keysign release with support for exchanging keys via the Internet. The main feature is a transport via the Internet. In fact, the code has been lurking around since last summer thanks to Ludovico’s great work. I felt it needed some massaging and more gentle introduction to the code base before finally enabling it. For the transport we use Magic Wormhole, an amazing package for transferring files securely. If you don’t know it yet, give it a try. It is a very convenient tool for sending files across the Internet. They have a rendezvous server so that it works in NATted environments, too. Great. You may wonder why we need an Internet transport, given that we have local network and Bluetooth already. And the question is good, because initially I didn’t think that we’d expose ourselves to the Internet. Simply because the attack surface is just so much larger and also because I think that it’s so weird to go all the way through the Internet when all we need is to transfer a few bytes between two physically close machines. It doesn’t sound very clever to connect to the Internet when all we need is to bridge 20 centimetres. Anyway, as it turns out, WiFi access points don’t allow clients to connect to each other Then we have Bluetooth, but it’s still a bit awkward to use. My impression is that people are not satisfied with the quality of Bluetooth connections. Also, the Internet is comparatively easy to use, both as a programmer and a user. Of course, we now also have the option to exchange keys when not being physically close. I do not recommend that, though, because our security assumes the visual channel to be present and, in fact, secure. 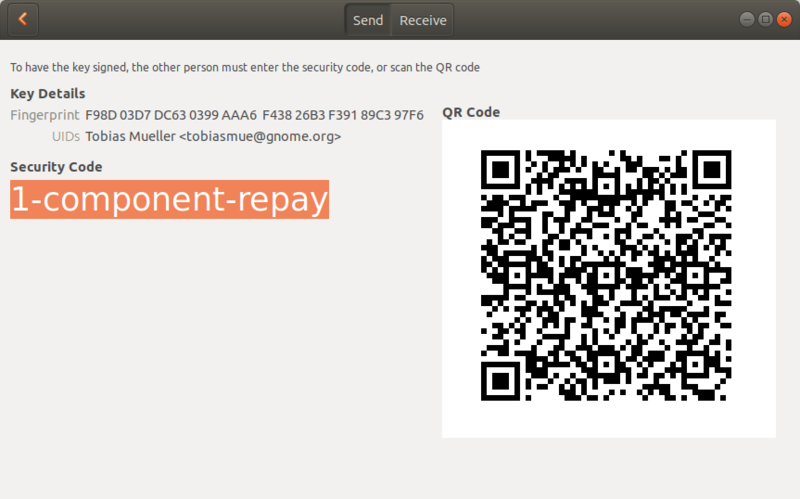 In other words: Scan the barcode for a secure key signing experience. Be aware that if you transfer the “security code” manually via other means, you may be compromised. With this change, the UX changes a bit for the non-Internet transports, too. For example, we have a final page now which indicates success or failure. We can use this as a base for accompanying the signing process further, e.g. sign the key again with a non-exportable short-term signature s.t. the user can send an email right away. Or exchange the keys again after the email has been received. Exciting times ahead. Now, after the wall of text, you may wonder how to get hold of this release. It should show up on Flathub soon. It’s been a while after my last post. This time, we have many exciting news to share. 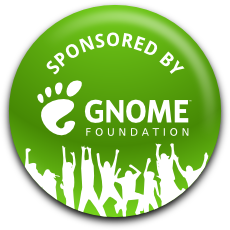 For one, we have a new release of GNOME Keysign which fixes a few bugs here and there as well as introduces Bluetooth support. That is, you can transfer your key with your buddy via Bluetooth and don’t need a network connection. In fact, it becomes more and more popular for WiFis to block clients talking to each other. A design goal is (or rather: was, see down below) to not require an Internet connection, simply because it opens up a can of worms with potential failures and attacks. Now you can transfer the key even if your WiFi doesn’t let you communicate with the other machine. Of course, both of you need have to have Bluetooth hardware and have it enabled. The other exciting news is the app being on Flathub. Now it’s easier than ever to install the app. 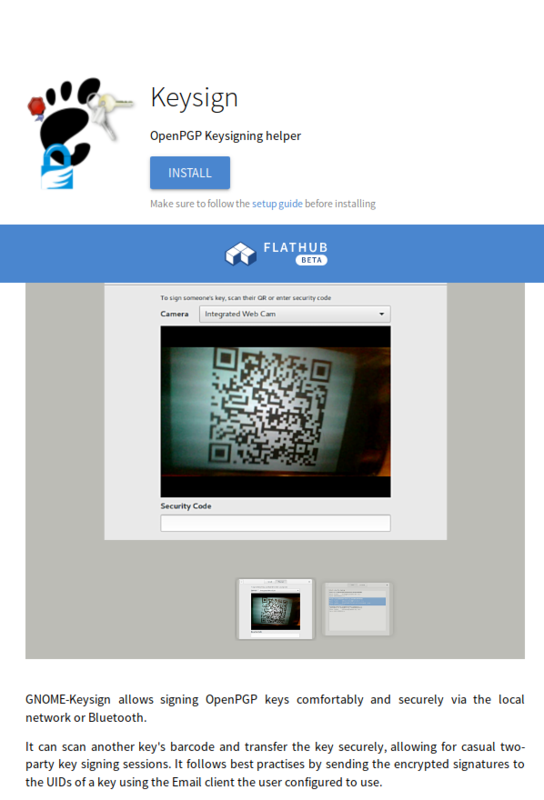 Simply go to Flathub and install it from there. This is a big step towards getting the app into users’ hands. And the sandbox makes the app a bit more trustworthy, I hope. The future brings cool changes. We have already patches lined up that bring an Internet transport with the app. Yeah, that’s contrary to what I’ve just said a few paragraphs above. And it does cause some issues in the UI, because we do not necessarily want the user to use the Internet if the local transport just works. But that “if” is unfortunately getting bigger and bigger. So I’m happy to have a mix of transports now. I’m wondering what the best way is to expose that information to the user, though. Do we add a button for the potentially privacy invading act of connecting to the Internet? If we do, then why do we not offer buttons for the other transports like Bluetooth or the local network? Anyway, stay tuned for future updates. Similar to last year I managed to attend the Gulasch Programmier-Nacht (GPN) in Karlsruhe, Germany. Not only did I attend, I also managed to squeeze in a talk about PrivacyScore. We got the prime time slot on the opening day along with all the other relevant talks, including the Eurovision Song Contest, so we were not overly surprised that the audience had a hard time deciding where to go and eventually decided to attend talks which were not recorded. Our talk was recorded and is available here. Given the tough selection of the audience by the other talks, we had the people who were really interested. And that showed during the official Q&A as well as in the hallway track. We exchanged contacts with other interested parties and got a few excellent comments on the project. Another excellent part of this year’s GPN was the exhibition in the museum. As GPN takes places in a joint building belonging to the local media university as well as the superb art and media museum, the proximity to the artsy things allows for an interesting combination. This year, the open codes exhibition was not hosted in the ZKM, but GPN also took place in that exhibition. A fantastic setup. Especially with the GPN’s motto being “digital naïves”. One of the exhibition’s pieces is an assembly robot’s hand doing nothing else but writing a manifesto. Much like a disciplinary action for a school child. Except that the robot doesn’t care so much. Yet, it’s usefulness only expands to writing these manifestos. And the robot doesn’t learn anything from it. I like this piece, because it makes me think about the actions we take hoping that they have a desired effect on something or someone but we actually don’t know whether this is indeed the case. I also like the Critical Engineering Manifesto being exhibited. I like to think about how the people who actual implement cetain technologies can be held responsible for the effects of it on individuals or the society. Especially with more and more “IoT” deployments where the “S” represents their security. It’s easy to blame Facebook for “leaking” user profiles although it’s in their Terms of Services, but it’s harder to shift the blame for the smart milk sensor in your fridge invading my privacy by reporting how much I consume. We will have interesting times ahead of us. An exhibit pointing out the beauty of algorithms and computation is a board that renders a Julia Set. That’s wouldn’t be so impressive in itself, but you can watch the machine actually compute the values. The exhibit has a user controllable speed regulator and an insight into the CPU as well as the higher level code. I think it’s just an ingenious idea to enable the user to go full speed and see the captivating movements of the beautiful Julia set while also allowing the go super slow to investigate how this beauty is composed of relatively simple operations. Also, the slow execution itself is relatively boring. We get to see that we have to go very fast in order to be entertained. So fast that we cannot really comprehend what is going on. I whole heartedly recommend visiting this exhibition. And the GPN, of course, too. It’s a nice chaotic event with a particular flair. It’s getting more and more crowded though, so better while the feeling lasts and doesn’t get drowned by all the tourists.